Often when people hear “custom” and think high cost – special setup charges, and tooling charges. 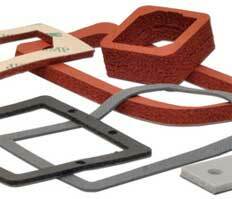 In reality custom gaskets can be custom made for relatively low cost. If volumes warrant die cutting (often 500+ pcs) a steel rule tool can be made. A die for a six inch square window gasket with fastener holes at each corner can be made for less than $200. When amortized over a few thousand pieces, tooling cost quickly become pennies/per part. 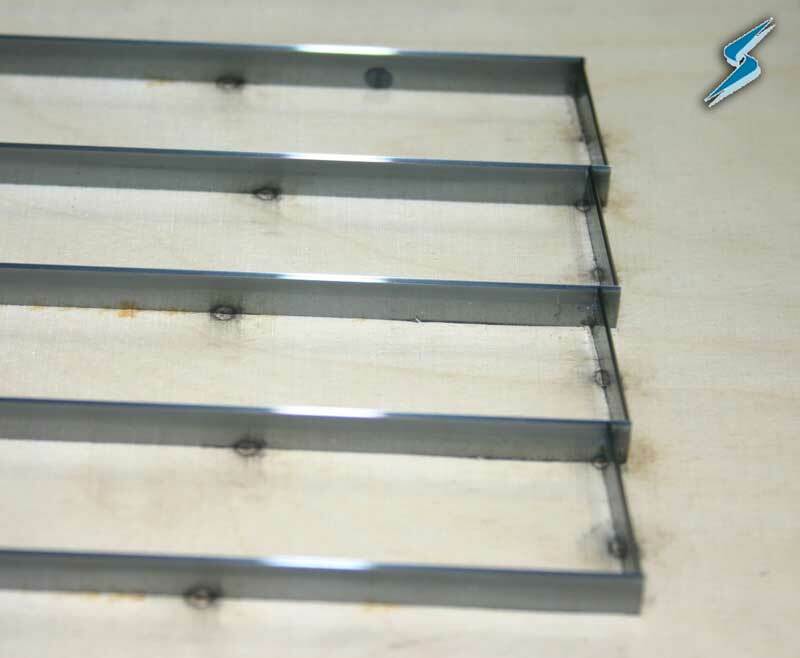 Steel ruled dies are often made by accurately laser burning the part geometry into engineered, dimensionally stable plywood. Then a long steel blade (almost like a razor blade) is precisely bent and press fitted into the wood. 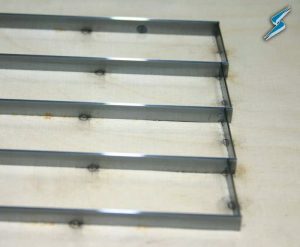 Holes are made by pressing punch sets into the plywood. Tools in the 12” x 12” range can hold a tolerance of less that .012”. Stockwell Elastomerics uses steel rule dies to cut Poron urethane foam, silicone foam, silicone sponge, and neoprene sponge. It is important to know that softer and thicker foam or sponges tend to have wider tolerances because the material compresses before it is cut through. Solid silicone gaskets, thermal gasket, emi gaskets can also be cut with steel rule dies. Gaskets and pads can be made many ways. Stockwell Elastomerics takes into consideration gasket material type, gasket thickness and quantity to determine the production method that is most cost effective. Very tight tolerance gaskets or low volume gaskets can be waterjet cut with no tooling charge. For more information about custom gaskets or gasket materials cut with steel rule dies, please call Stockwell Elastomerics at 215-335-3005 or complete a contact form for assistance.